"In the middle of all the ruckus, something totally incredible came to light: to mine and every one else’s consternation, Bhutan was, that year, declared as the biggest grower and exporter of brown cardamom – IN THE ENTIRE WORLD! How that came about is truly ticklish!" Brown cardamom has not been good for the country in the past - I can guess that its recent proliferation is going to be even worst. Exactly 38 years back, in July of 1979, His Majesty the Fourth Druk Gyalpo was so infuriated by the illegal plantation of cardamom and the devastation of forests it caused, that he was forced to implement Bhutan’s first ever nationalization of private property. That year, His Majesty ordered the seizure of all illegal cardamom plantations and nationalized the timber trade in the country. I was in the thick and thin of it, in my capacity as the Head of Export Section of the Export Division, Ministry of Trade & Industries. Today the large-scale cardamom plantation represents a problem that is much bigger and more complex. For one, unlike in the past, lands that were traditionally used for producing food are now being converted to cardamom plantation - en masse. Over time, it will cost the country dearly. The other thing of concern is the fuel wood required to dry the cardamom after harvest. According to Pirthiman (http://pirthiman.blogspot.com/2015/01/large-cardamom-cultivation.html) you need 2.6 MT of firewood to dry cardamom harvested from one hectare of plantation. The country’s cardamom production (dried) last year (2016) was 1,289.01 MT as reported by the Department of Agriculture Marketing & Cooperatives, Ministry of Agriculture. This quantity will be much higher if you take into account the informal market that goes unreported. A safe estimate would be that Bhutan produces a total of about 2,000 MT of dry cardamom, annually. While production will vary from variety to variety and soil type and altitude, some estimate that 500 Sq. Mtr. of plantation will produce 25 - 26 kgs. of dried cardamom. This means that as of now, 3,846 hectares of land is under cardamom cultivation that went on to produce 2,000 MT of dry cardamom last year. Pirthiman estimates that each hectare of that 3,846 hectares will consume 2.6 MT of firewood. This gives us a whooping 10,000 MT of firewood, to fire the Bhattis that dry the cardamom. For a country of our size, and with a Constitutional commitment to keep 60% land under forest cover for eternity, that is a whole lot of wood in the Bhatti! "About 2.6 tonnes firewood would be needed for drying Cardamom harvested from one hectare. But in well-managed Large Cardamom orchards about 3.2 tonnes of firewood can be harvested annually through loping and thinning of shade tree." So while it is indeed a whole lot of wood, it is sourced entirely from within the annual thinning of the shade trees within the cardamom orchard itself, thus putting no stress or burden on the forest coverage. You need to re-read my post. In the context of present day cultivation of cardamom, that mathematics is unlikely to be true. First, thinning is a process that provably will not be allowed by rules. In my understanding, thinning is a silvicultural process of removing extra stock from an over crowded stand. There are certain rules to the procedure. I have serious doubts that the farmers would be knowledgeable in the rule of this practice. In any event, I doubt that the Forest Department will allow thinning of the shed trees – as far as my knowledge goes, thinning process involves cutting down trees --- and that requires approval and authorization from the Forest Department. They will never allow it, unless that is covered under the present rules, which I do not think so. In my understanding, there is no rule that legitimizes thinning, to dry cardamom. The other problem that you are not looking at is: a large number of cardamom plantations these days, I am told, are said to be in cultivated lands – lands that were traditionally used for growing food. Do you think there would be “shade trees” in those cultivations? You may be aware that in the past, the cardamom was planted inside forests that had shade trees. Regardless, thinning is illegal and involves a lot of wood. Also perhaps it was the “thinning” that brought about the nationalization of the private illegal cardamom plantations, during the late seventies. I also do not believe that lopped wood as a heat source to dry cardamom is adequate. According to Pirthiman, the moisture content in a freshly harvested cardamom is 70-80%. This moisture content needs to be brought down to 10% before they can be sold or bought. I believe that heat generated by lopped wood is NOT enough to perform this task. An improperly dried cardamom will not find buyer – because a wet cardamom will lose moisture over time and will reduce in weight – which is loss to the trader/buyer. Lopped wood are generally small branches and twigs and dead woods. They do not generate good heat – instead they generate lots of smoke. Smoke coated cardamom jacket looks black, rather than brown – thereby fetching poor price. That is the reason farmers try to avoid using lopped wood. Talking of moisture, during the time when we use to export cardamom to Singapore, we use to factor in 4% as the moisture loss upon arrival at Singapore port for re-export to another intermediary market. 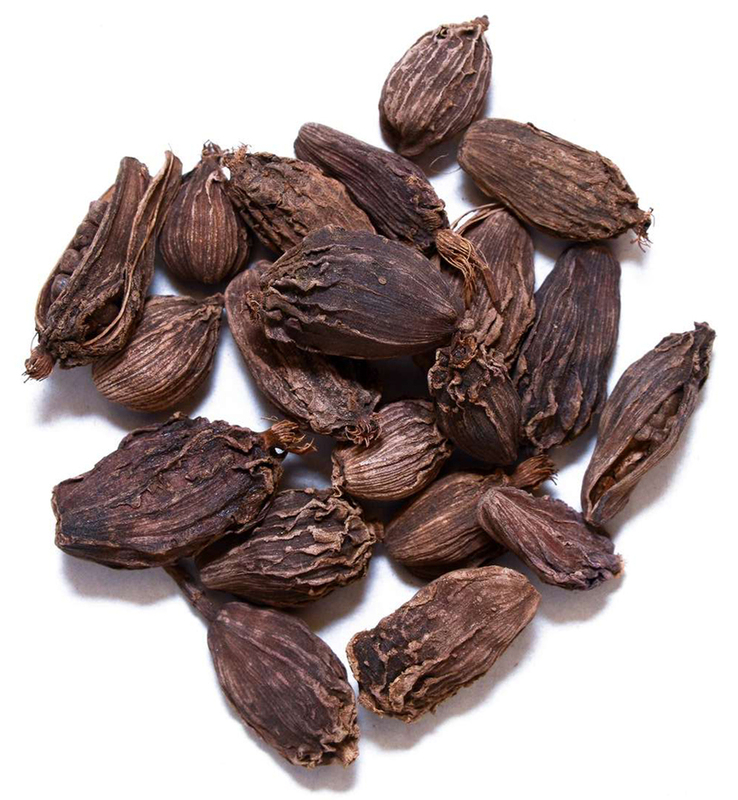 It was our experience that dried cardamom is not entirely dry. The pods released moisture continuously. We calculated that between the time we loaded the container at Phuentsholing to on-board the ship at Kolkatta port to the time it is unloaded and weighed at Singapore, there would be upto 4% loss in weight ---- even after considering that the weight should be higher because of the gravitational factor. why do you keep deleting my comments? is it because you are a chickenshit? LOL ... I do not delete comments unless they are against the King, the Royal Family or slanderous or defamatory. If God has seen it fit to give you a mouth and a pair of hands to speak and write only as you are capable of, I am no body to disallow you to write what you want to write. May be you are doing something wrong and your comments are not getting posted. Try again.